The police state of Nazi Germany has been well-publicized over the years, but the debt that state owed to prehistoric gods and myths has been somewhat overlooked. Wagner's music is intensely romantic, violent, heroic, and of mythic proportions; exactly the qualities projected by the Nazi Party. Wagner's operas may have had an almost religious effect upon Hitler; Wagner's skill for drama and dramatic music no doubt underscored the impact of the legends already known to Hitler from youth. 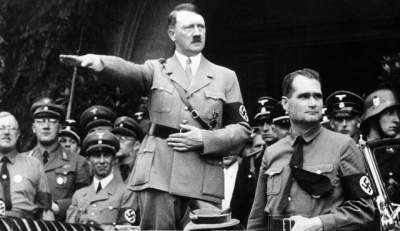 Hitler and many of his associates shared a fascination with the history and mythology of the German Volk, and the following discussion will focus on examples of "mythical influences", and how they helped shape the personal and political activities of these men. 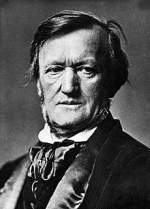 Richard Wagner's (1813-1883) most famous works are undoubtedly his music dramas. Der Ring des Nibelungen and Tristan und Isolde are two works that are widely acknowledged as being of great musical significance. The development and use of the leitmotif, the parts written for the heldentenor, the manipulation and "warping" of the tonal system, and the development of the music drama itself are all very important aspects of Wagner and his music, and of these two works (Sadie, 352). The ancient sagas that Wagner used as a basis for these music dramas held for him revealed truths and insights into human behavior and emotions. He has not been alone in his interest and opinions. These myths have been used as an argument for, or illustration of, various beliefs and ideologies. The Ring has been variously interpreted as a look into the human psyche; a means of promoting socialism; a prophecy of the fate of the world and humankind; and a "parable" about the industrial society that was coming of age in Wagner's lifetime. It was also used by the Nazi party to justify and glorify racism, and to supply a basis of fanatic loyalty in the Schutzstaffel, or SS (Sadie, 353) (Speer, 141). (From An Investigation Into the Effects of the Music of Richard Wagner on the Pseudo-Mysticism of Adolf Hitler and the Third Reich by Reuben D. Ferguson and Dr. Ken Keaton). 1890 Birth: Harry Hopkins--one of Franklin Roosevelt's closest advisors: Click here. First I must ask your pardon for not having written for so long. There have been good or rather bad reasons for this. I simply did not know what there was to tell you. That I am now writing to you only shows how long I had to search before finding one or two bits of news. First, our landlady, Zakreys, thanks you for the money. Secondly, I want to thank you very much for your letter. Probably Zakreys has difficulty writing letters (her command of German is so weak), and she has asked me to thank you and your esteemed parents for sending the money. I have just had a very bad attack of bronchial catarrh. It seems to me your musicians union is facing a crisis. Who actually publishes the newspaper I sent you last time? It is quite some time since I paid out the money. Do you know anything more about it? We are still enjoying very pleasant weather; it is raining heavily. And this year, with all the baking heat we have been having, that is truly a blessing from Heaven. But I shall only be able to enjoy it a little while longer. On Saturday or Sunday I shall probably have to leave. Shall give you exact details. The Russian 1st Army, commanded by Pavel Rennenkampf, and the 2nd Army, led by Aleksandr Samsonov, advanced in a two-pronged formation, separated by the Masurian Lakes, which stretched over 100 kilometers, aiming to eventually meet and pin the German 8th Army between them. For the Germans, the Russian advance came much sooner than expected; counting on Russia's slow preparation in the east, they had sent the great bulk of their forces west to face France. By August 19, Rennenkampf's 1st Army had advanced to Gumbinnen, where they faced the German 8th Army, commanded by General Maximilian von Prittwitz, in battle on the River Angerapp on August 20. During the Battle of Gumbinnen, Prittwitz received an aerial reconnaissance report that Samsonov's 2nd Russian Army had advanced to threaten the region and its capital city, Konigsberg (present-day Kaliningrad) as well. With his forces greatly outnumbered in the region, he panicked, ordering the 8th Army to fall back to the Vistula River, against the advice of his staff and against the previous orders of the chief of the German general staff, Helmuth von Moltke, who had told him "When the Russians come, not defense only, but offensive, offensive, offensive." From his headquarters at Koblenz, Moltke consulted with Prittwitz's corps commanders and subsequently dismissed the general, replacing him with Paul von Hindenburg, a 67-year-old retired general of great stature. As Hindenburg's chief of staff, he named Erich Ludendorff, the newly appointed hero of the capture of Belgium's fortress city of Liege earlier that month. 1915 Jewish American Leo Frank is lynched for the alleged murder of a 13-year-old girl in Marietta, Georgia: Click here. Molotov is highly gratified by the German's obvious haste to achieve a political agreement. Soviet Marshal Voroshilov, by now sure that neither the French nor the British mean business, dismisses their delegates for four days. I request that you again call upon Herr Molotov with the statement that you have to communicate to him, in addition to yesterday's message for Herr Stalin, a supplementary instruction just received from Berlin, which relates to the questions raised by Herr Molotov. Please then state to Herr Molotov the following: 1) the points brought up by Herr Molotov are in accordance with German desires. That is, Germany is read, [bereit] to conclude a non-aggression pact with the Soviet Union and, if the Soviet Government so desires, one which would be irrevocable for a term of twenty-five years. Further, Germany is ready to guarantee the Baltic States jointly with the Soviet Union. Finally, it is thoroughly in accord with the German position, and Germany is ready, to exercise influence for an improvement and consolidation of Russian-Japanese relations. 2) The Fuehrer is of the opinion that, in view of the present situation, and of the possibility of the occurrence any day of serious incidents (please at this point explain to Herr Molotov that Germany is determined not to endure Polish provocation indefinitely. After I had read to Molotov the supplementary instructions, Molotov declared, without going into their content more closely, that he could give me today the answer of the Soviet Government to my communication of August 15. Stalin was following the conversations with great interest, he was being informed about all their details, and he was in complete agreement with Molotov. Here Molotov read the answer of the Soviet Government, which in the text given to me is as follows: "The Soviet Government has taken cognizance of the statement of the German Government transmitted by Count Schulenburg on August 15 concerning its desire for a real improvement in the political relations between Germany and the USSR "In view of the official statements of individual representatives of the German Government which have not infrequently had an unfriendly and even hostile character with reference to the USSR. the Soviet Government up till very recently has had the impression that the German Government was working for an excuse for a clash with the USSR, was preparing itself for such a clash, and was basing the necessity of its constantly increasing armament on the inevitability of such a clash. Not to mention the fact that the German Government by means of the so-called 'Anti-Comintern Pact' was attempting to build up a unified front of a group of states against the USSR, and was attempting with especial persistence to draw Japan in. "It is understandable that such a policy on the part of the German Government compelled the USSR to take serious steps in the preparation of a defense against possible aggression on the part of Germany against the USSR and also to participate in the organization of a defensive front of a group of states against such an aggression. 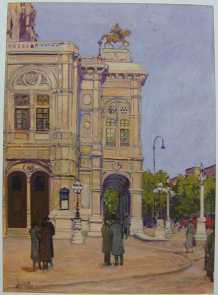 "If, however, the German Government now undertakes a change from the old policy in the direction of a sincere improvement in political relations with the USSR, the Soviet Government can look upon such a change only with pleasure and is on its own part prepared to alter its policy in the direction of an appreciable [ernsthaften] improvement in relations with Germany. Sumner Welles—US Under Secretary of State—passes information concerning the German overtures to Moscow to British Ambassador Sir Ronald Lindsay, who immediately telegraphs London, confident his message will be in the Foreign Office first thing in the morning, London time. It is, but will not be deciphered for four days. Countdown to infamy: The US presents a formal warning to the Japanese indicating that America will almost certainly enter the war if Japan attacks British or Dutch possessions in the East Indies or Malaya. Barbarossa: Heeresgruppe Nord, in its drive toward Leningrad, captures Narva. Narva had the unfortunate fate of being a German-held town relatively close to the frontline. It had two important bridges as well, that only added the strategic importance of the town: the road (Puusild, the "Wooden Bridge") and the railway bridge (Raudsild, the "Iron Bridge"). This meant that of all Estonian towns, Narva received numerically the greatest number of air raids. In Lublin, SS Gruppenfuehrer Globocnik was waiting for us. He said: This is one of the most highly secret matters there are, perhaps the most secret. Anybody who speaks about it is shot dead immediately. Two talkative people died yesterday. Then he explained to us that, at the present moment—August 17, 1942—there were the following installations: 1. Belzec, on the Lublin-Lvov road, in the sector of the Soviet Demarcation Line. Maximum per day: 15,000 persons (I saw it!). 2. Sobibor, I am not familiar with the exact situation, I did not visit it. 20,000 persons per day. 3. Treblinka, 120 km. NNE of Warsaw, 25,000 per day, saw it! 4. Majdanek, near Lublin, which I saw when it was being built. Globocnik said: You will have very large quantities of clothes to disinfect, 10 or 20 times as much as the "Textiles Collection," which is only being carried out in order to camouflage the origin of the Jewish, Polish, Czech and other items of clothing. Your second job is to convert the gas-chambers, which have up to now been operated with exhaust gases from an old Diesel engine, to a more poisonous and quicker means, cyanide. But the Fuehrer and Himmler, who were here on August 15, the day before yesterday, that is, gave orders that I am myself to accompany all persons who visit the installations. Professor Pfannenstiel replied, "But what does the Fuehrer say?" Then Globocnik, who is now Higher SS and Police Leader in Trieste on the Adriatic Coast, said: "The whole Aktion must be carried out much faster." Ministerial Director Dr. Herbert Lindner [Linden] of the Ministry of the Interior suggested, "Would it not be better to incinerate the bodies instead of burying them? Another generation might perhaps think differently about this?" Then Globocnik, "But, Gentlemen, if we should ever be succeeded by so cowardly and weak a generation that it does not understand our work, which is so good and so necessary, then, Gentlemen, the whole of National Socialism will have been in vain. On the contrary, one should bury bronze plaques [with the bodies], on which is inscribed that it was we, we who had the courage to complete this gigantic task." Hitler said to this, "Well, my good Globocnik, you have said it, and that is my opinion, too." The next day we moved on to Belzec. There is a separate little station with two platforms, at the foot of the hill of yellow sandstone, due north of the Lublin-Lvov road and rail line. To the south of the station, near the main road, there are several office buildings with the inscription "Belzec Office of the Waffen-SS" [Military Unit of the SS]. Globocnik introduced me to SS Hauptsturmfuehrer Obermeyer from Pirmasens, who showed me the installations very much against his will. There were no dead to be seen that day, but the stench in the whole area, even on the main road, was pestilent. Next to the small station there was a large barrack labeled "Dressing Room," with a window that said "Valuables," and also a hall with 100 "Barber's Chairs." Then there was a passage 150 m. long, in the open, enclosed with barbed wire on either side, and signs inscribed "To the Baths and Inhalation Installations." In front of us there was a house, the bathhouse, and to the right and left large concrete flower pots with geraniums or other flowers. After climbing a few steps there were three rooms each, on the right and on the left. They looked like garages, 4 by 5 m. and 1.90 m. high. At the back, out of sight, there were doors of wood. On the roof there was a Star of David made of copper. The front of the building bore a notice "Heckenholt Institution." That is all I saw that afternoon. Next morning, a few minutes before 7 o'clock, I was told that the first train would arrive in 10 minutes. And in fact the first train from Lvov arrived a few minutes later. There were 45 carriages with 6,700 persons, of whom 1,450 were already dead on arrival. Through small openings closed with barbed wire one could see yellow, frightened children, men, and women. The train stopped, and 200 Ukrainians, who were forced to perform this service, tore open the doors and chased the people from the carriages with whips. Then instructions were given through a large loudspeaker: The people are to take off all their clothes out of doors and a few of them in the barracks - including artificial limbs and glasses. Shoes must be tied in pairs with a little piece of string handed out by a small four-year-old Jewish boy. All valuables and money are to be handed in at the window marked "Valuables," without any document or receipt being given. The women and girls must then go to the barber, who cuts off their hair with one or two snips. The hair disappears into large potato sacks, "to make something special for the submarines, to seal them and so on," the duty SS Unterscharfuehrer explained to me. Then the march starts: Barbed wire to the right and left and two dozen Ukrainians with rifles at the rear. They came on, led by an exceptionally pretty girl. I myself was standing with Police Captain Wirth in front of the death chambers. Men, women, children, infants, people with amputated legs, all naked, completely naked, moved past us. In one corner there is a whimsical SS man who tells these poor people in an unctuous voice, "Nothing at all will happen to you. You must just breathe deeply, that strengthens the lungs; this inhalation is necessary because of the infectious diseases, it is good disinfection!" When somebody asks what their fate will be, he explains that the men will of course have to work, building streets and houses. But the women will not have to work. If they want to, they can help in the house or the kitchen. A little glimmer of hope flickers once more in some of these poor people, enough to make them march unresisting into the death chambers. The British launch a massive air attack on the German rocket program at Peenemunde, thanks to intelligence reports by the Polish underground. This was a special raid, which Bomber Command was ordered to carry out against the German research establishment on the Baltic coast where V-2 and V-1 rockets were being built and tested. The raid was carried out in moonlight to increase the chances of success. There were several novel features. It was the only occasion in the second half of the war when the whole of Bomber Command attempted a precision raid by night on such a small target. For the first time, there was a Master Bomber controlling a full-scale Bomber Command raid; Group Captain J. H. Searby, of 83 Squadron, 8 Group, carried out this task. There were three aiming points - the scientists and workers living quarters, the rocket factory and the experimental station - and the Pathfinders employed a special plan with crews designated as shifters, who attempted to move the marking from one part of the target to another as the raid progressed. Crews of 5 Group, bombing in the last wave of the attack, had practised the time-and-distance bombing method as an alternative method for their part in the raid. The Pathfinders found Peenemunde without difficulty in the moonlight and the Master Bomber controlled the raid successfully throughout. A Mosquito diversion to Berlin drew off most of the German night-fighters for the first 2 of the raid's 3 phases. Unfortunately, the initial marking and bombing fell on a labour camp for forced workers which was situated 1.5 miles south of the first aiming point, but the Master Bomber and the Pathfinders quickly brought the bombing back to the main targets, which were all bombed successfully. 560 aircraft dropped nearly 1,800 tons of bombs; 85 per cent of this tonnage was high-explosive. The estimate has appeared in many sources that this raid set back the V-2 experimental programme by at least 2 months and reduced the scale of the eventual rocket attack. 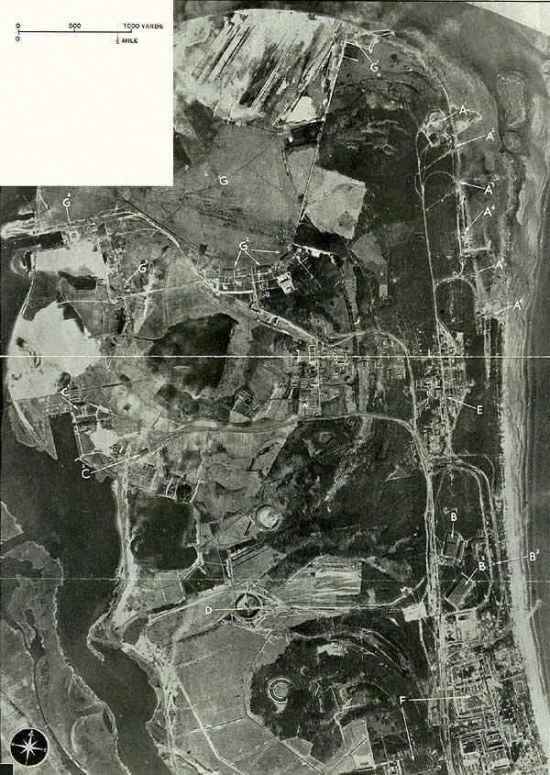 Approximately 180 Germans were killed at Peenemunde, nearly all in the workers housing estate, and 500-600 foreigners, mostly Polish, were killed in the workers camp, where there were only flimsy wooden barracks and no proper air-raid shelters. [The "only" effect of the August 1944 attack was that] one of the foremost collaborators of Braun was killed. We had tremendous luck in so far you completely destroyed the living quarters, however, you did not do any damage to a large laboratory hanger close by. Besides, at that time the development was already completed and we were already preparing for production. This was done at other locations. The V-1 was developed at Fieseler, Kassel . . . .
[The significance of the large concert construction at Watten was] probably concrete construction for V-2. V-2 required larger installations for preparation, like the filling with oxygen, testing of instruments, storage—in short everything to keep V-2 in shape. V-1 is mounted much quicker, is put on tracks and fired. V-2 as you know went straight up . . . . The pressure on explosives (production) did not amount to much. V-1 carried 500 to 600 kg of explosives, that is about 1000 tons for the whole year. That's no object. V-2 used about 800 to 900 kg, that doesn't mean much in terms of explosives. At the same time we didn't have to produce bombs [for the air force] anymore. A difficulty existed in the procurement of sheet metal for V-2 and V-1. They had to be collected from other programs. I don't know anymore in detail from what programs, but it was very difficult to get these high-grade steel sheets . . . . The Luftwaffe was mad about the Army going in for such long distances. They said: "The Army starts to fly." The V program did not hit fighter production in any way. Because in the fighter program the difficulties were for instance to get aluminum sheets, whereas it was steel sheets for V-1. For many nights in the past, the C-in-C of Bomber Command, Air Chief Marshal Sir Arthur Harris, had been sending a few fast high-flying bombers to raid Berlin. Each night the bombers—Mosquitoes . . . flew the same northerly track to the capital, dropped a few bombs, and then departed. The track took the Mosquitoes near Peenemuende and air-raid sirens there always sent the scientists and their work forces to the shelters, but after a time the Peenemuende defenses became more relaxed. The Reich air defense commander also considered Peenemuende an unlikely target; he thought these pinprick raids were the prologue to some devastating main raid on the capital. But Bomber Command had other plans...The raid was one of the most decisive air operations of the war . . . . The effect of the raid on Hitler and Goering was such that the full brunt of their rage fell upon General Hans Jeschonnek, the Chief of the Air Staff. Jeschonnek shot himself in his office the morning after the raid. Schweinfurt-Regensburg mission: The US Eighth Air Force suffers the loss of 60 bombers. Italy: German and Italian forces successfully evacuate Sicily across the Strait of Messina, with little interference by the Allies. First Quebec Conference of Winston Churchill, Franklin D. Roosevelt, and William Lyon Mackenzie King begins. Field Marshal Walter Model takes command of the Western Front: Click here. 1971 Death: Wilhelm List--German field marshal: Click here. Rudolf Hess, Nazi leader Adolf Hitler's former deputy, is found strangled to death in Spandau Prison in Berlin at the age of 93, apparently the victim of suicide. Hess was the last surviving member of Hitler's inner circle and the sole prisoner at Spandau since 1966. Hess, an early and devoted follower of Nazism, participated in Hitler's failed "Beer Hall Putsch" in 1923. He escaped to Austria but voluntarily returned to Germany to join Hitler in Landsberg jail. During his eight months in prison, Hitler dictated his life story--Mein Kampf--to Hess. 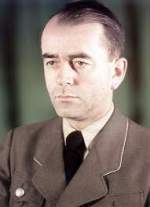 In 1933, Hess became deputy Nazi party leader, but Hitler later lost faith in his leadership ability and made him second in the line of succession after Hermann Goering. In May 1941, Hess stole an airplane and landed it in Scotland on a self-styled mission to negotiate a peace between Britain and Germany. He was immediately arrested by British authorities. His peace proposal--met with no response from the British--was essentially the same as the peace offer made by Hitler in July 1940: an end to hostilities with Britain and its empire in exchange for a free German hand on the European continent. However, by May 1941 the Battle of Britain had been lost by Germany, and Hitler rightly condemned Hess of suffering from "pacifist delusions" in thinking that a resurgent Britain would make peace.